A shooter that manages to be intelligent is a rare, precious thing. Not just intelligent in the sense of it being “anti-war” or subversive, such as games like the recent Wolfenstein titles or Spec Ops: The Line. Nor just in the way that it plays with a long-established formula to do something genuinely different, as we see in titles like Superhot. No, I’m talking about games that are bona fide philosophical in nature and intent, and muse on the kind of topics that people doing those art degrees that everyone who hasn’t done them likes to think are useless. Those degrees are not actually useless, of course, because being able to think with philosophical depth is important in being able to analyse and understand the world, and we need a lot more of that going around. But before I go on a great long digression there, the point is that very few games, let alone shooters, would dare to ask players to actually think of this stuff. And yet that’s exactly what Echo does. And Echo is a genius game. It's impressive on so many levels, but perhaps the most impressive thing about it is that, where so many philosophical art games struggle to make themselves palatable to people who haven’t run through a couple of years of a philosophy degree, Echo is still a brilliant and innovative mix of stealth and shooter action. As such, it’s one of those rare games I can comfortably recommend to anyone. It all starts with a young woman and her AI (or possibly human over a communications platform - it’s not immediately made clear) ally. They’re the only two on a spaceship that’s on its way to a remote planet, and they are heading that way to “save” another person, a situation that the AI fellow blames the woman for. Their relationship is hostile, and we don’t really get a sense for why at first. Indeed, everything makes little sense at first, and more questions are raised before the answers start to come in thick and fast. The planet, for example, is completely covered with pristine white structures, which are crumbling underneath, but give the impression that the entire planet is nothing but a flat plain of white sand, snow or salt. How did these structures get here and why is nobody actually on the planet? We just don’t know. Then we discover that the woman belongs to a particular species or religious organisation (again, it’s not entirely clear at first), and that this planet, and more particularly what is inside the structures, is the holiest of holy sites to her people - not that she really knows why. Upon entering the structure, which turns out to be a planet-wide mansion of the greatest opulence, the woman descends deep inside, at which point she somehow triggers some kind of power surge. When the lights come back on, the mansion begins to be populated with hostile creatures, which happen to look just like the woman. It gets worse. At first the creatures can barely move, but frequently the lights will go back out, and each time these creatures are somehow “reset” back to their original positions… but each time having obtained greater abilities. At first they won’t go near water. Then they start wandering through it comfortably. At first they can’t open doors, but then they can. Then they can fire guns. It just gets worse and worse for the poor woman, who by this point just wants out. It becomes clear soon enough that these creatures are actually learning by observing the woman’s own behaviour and movements. They are echoes; becoming more deadly as they come to understand and then mimic their prey. And through this all we are constantly bombarded by a narrative dense in existential theory and debate. 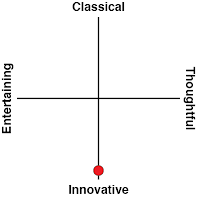 Any game, book, film or whatever that uses a line to the effect of “you keep trying to find meaning when there is none,” is a game, book, film or whatever that has been made by a person or group of people where at least one of them has studied the likes of Jean-Paul Sartre and Søren Kierkegaard. Yep, that's one of the many stock standard philosophy lines thrown in through this game's running time. Existentialism is, of course, a philosophy that people often misattribute to be predominantly focused on the question of “what is life?” There’s an element of that from some existentialist thinkers, but in actual fact, existentialist thinking generally is much more concerned with the concept of authenticity, or the question of how true a person is to themselves, even in the face of outside pressures and forces. 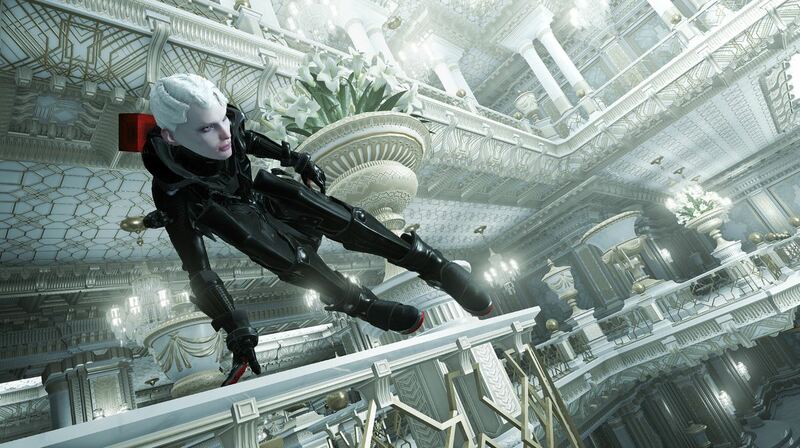 In Echo we see this continually play out, with the young protagonist being forced to face herself, and violently conflict with her own behaviours and personality in order to survive. It’s very much a story of this authenticity, and philosophy majors will get a real kick out of thinking through the ramifications of the hypothetical world that Echo posits. But that’s just one discussion that they - or you - could have with Echo. One of the incredible things about this game is just how densely layered its themes are. Two other very apparent and very immediate themes that the game presents is a deconstruction on religion and faith; what it means to have faith in something unknowable (for the woman has never been to the mansion and was never truly sure it existed, even as she believed in it). Her beliefs also have caused her to do things that her logical AI ally apparently finds repugnant, and the game definitely has that age-old tension between religion and academic logic playing out. The other immediately obvious theme - one that is very timely at the moment - is that of progress in artificial intelligence, and the threat that poses. 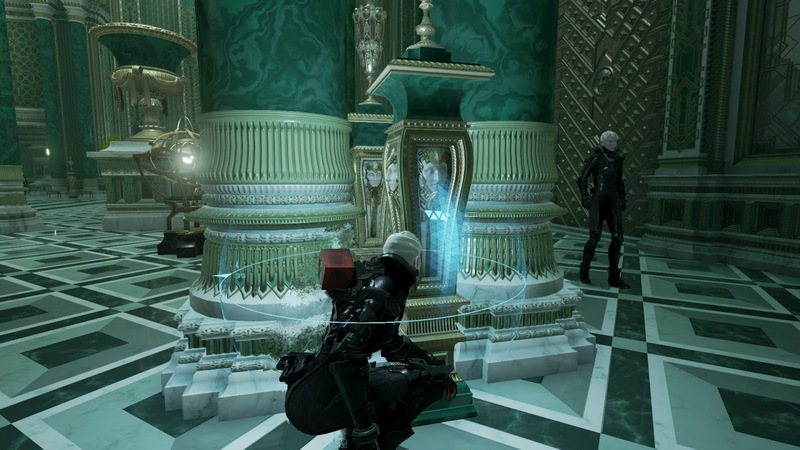 The echoes that the woman fights against are programs of a sort - artificial beings created within the mansion labyrinth. At first the are nothing but the equivalent of “raw code”, flopping around in the most primitive fashion. But they learn, and eventually become complex beings that are a far more intelligent - and therefore great - threat. This is an explicit warning against the growing threat posed by allowing AI development to go unchecked. And there are more themes that you’ll take from this game that I didn’t. Part of Echo’s genius is that it is so very open-ended in terms of the way that the narrative can be interpreted. 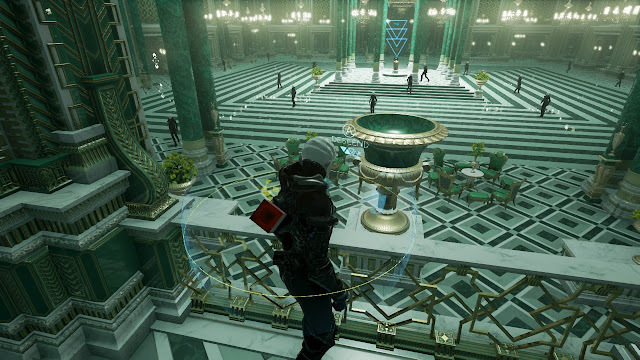 Another person might draw some meaning out of the opulence of the mansion's design, while yet another might see it in the context of the science fiction genre and draw some conclusions there. Still other people might look at the distinctive, stunning art design and architecture and draw themes out of that. There are gender and feminist themes in there. Regardless of where your academic interests might like, Echo will have something to catch your attention. Or you can ignore all of that entirely. 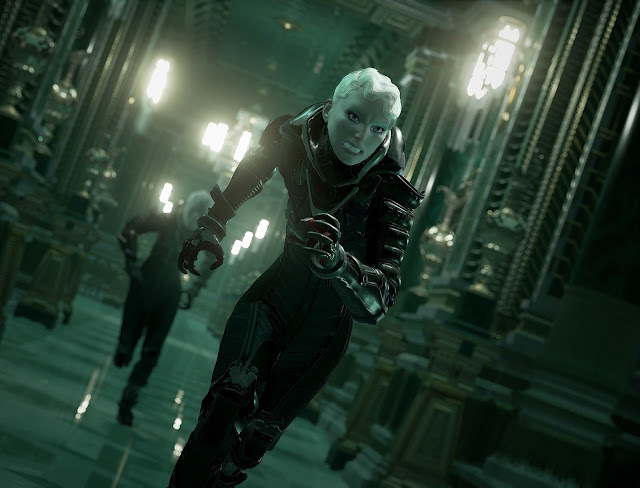 Mechanically, Echo is a budget stealth action game, but one of the most refined and smartly designed ones that I’ve ever played. And it is fundamentally so enjoyable. Most of the time, the echoes that threaten your protagonist will have overwhelming numbers, and it doesn’t take much to put her down, so you’ll need to be smart about surveying the landscape, planning out a route to the objective, and then pushing through as quickly and efficiently as possible. Perhaps most importantly, however, is the way that the echoes learn your character's movements and skills, and start to use those against her. However the developers managed to structure this is beyond me, but the game absolutely feels like it adapts and becomes more complex as you play along, which makes it all the more challenging (after all, you're being asked to out-think yourself), and is a piece of genuine innovation in a genre that has long become stale. I will bet that big blockbuster developers will crib this game's ideas in one way or another as some point, in one of their own productions. Speed is critical, because there’s a specific rhythm to which the lights go out and everything gets reset. You’ll have a couple of seconds where the lights will go out, and then there’ll be a drumming sound, and then everything will blank out. A second later, the screen will fade in, fully lit again, and the echoes - including any you might have killed, will be back in their original places. Sometimes this works out for the better - when a swarm of them are chasing you, having them thrown back to their starting place provides a second of relief. But most of the time it simply makes things harder all over again, so you’ll want to finish your objectives in as few “resets” as possible. You’ve got limited ammo for your gun and energy for your suit (which you can use to get a burst of speed, or push an enemy down, or vault over a table or balcony to the floor below. So, again, careful planning and accurate execution is the name of the game. I’m not very good at these kinds of games, so I took multiple retries to get through most of the game's challenges, but each time I learned a little better about how to get around the hordes. Perhaps I’m an echo myself, learning from my avatar’s progress... yep, mind blown. More seriously, the checkpoint system is generous and the game’s intention is never to keep you locked into one area too long. It has a potent story to tell, after all. So you’ll make mistakes, learn, and move onto the next challenge. Because there’s so much trial-and-error and restarting involved I couldn’t put an exact time on what it would take to finish Echo. It took me a while, but speedrunners will probably fly through it. For most it’ll be a relatively brief, but very enjoyable diversion, I suspect. Backed by gorgeous production values and, critically, voice acting that's able to carry the nuance this script demands, Echo is distinctive, characteristic and artful. It’s not a stretch to say it’s probably the smartest shooter that I’ve ever played, and it’s exactly the kind of thing that I’ve been waiting for from the genre. It’s a game that didn’t need multiplayer, loot boxes, unlockables or experience bars, or any of the other features that bloat down the modern shooter genre. 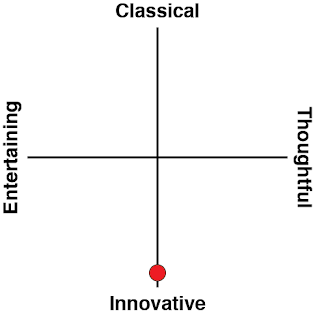 It’s simply a single player game that has the confidence to be smart, and faith that the player will either “get it”, or at least enjoy the innovative and creative gameplay enough to have a good time anyway. On either level, Echo is a resounding win.